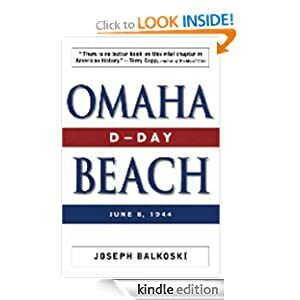 In this unforgettable narrative of D-Day, Joseph Balkoski describes the minute-by-minute combat as it unfolded on Omaha Beach, allowing soldiers to speak for themselves as they recall their attempts to maneuver bombers through heavy cloud cover, the claustrophobic terror aboard transports, and the relentless fire that greeted them on the beach. Equal parts oral history and meticulous reconstruction, Omaha Beach is the closest the modern reader can get to experiencing the Normandy landings firsthand. Omaha Beach: D-Day, June 6, 1944 or to sample this book for FREE! Meet Gossie, a small yellow gosling who loves to wear bright red boots — every day. One morning Gossie can’t find her beloved boots. She looks everywhere for them: under the bed, over the wall, even in the barn. Preschoolers will enjoy helping Gossie find her red boots and delight in where Gossie finally finds them. NOTE: This book features Kindle Text Pop-Up for reading text over vivid, full-color images when using Kindle Fire or select free Kindle Reading apps. 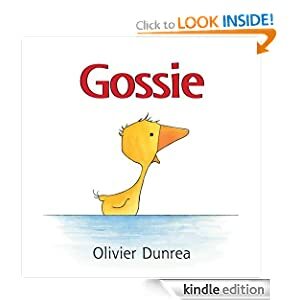 Gossie or to sample this book for FREE! 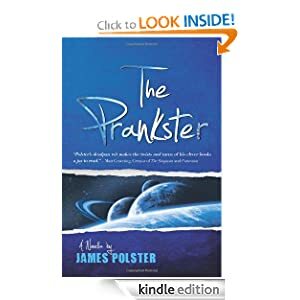 -- Time-traveling alien Pom Trager has used the gullible denizens of Earth as fodder for his practical jokes throughout the ages, with the pyramids, Picasso, and several US presidents among his more modest pranks. Why does he do it? To boost the ratings of The Prankster, his home planet’s most popular reality show. But when a system snafu lands Trager in the wrong place, he finds himself at the mercy of the very species he’s made into a galactic laughingstock. His only allies are the hapless assistant he just fired and an Earth woman who lends a hand against her better judgment. With a relentless sheriff hot on their heels, the unlikely trio must drive from Santa Fe to San Francisco within two days. Otherwise their one chance for rescue will vanish—and Trager will be stuck in a backwater world of his own making. In The Prankster, award-winning author James Polster hilariously skewers our cultural obsession with self-importance and entertainment. The Prankster or to sample this book for FREE! -- In a posh suburb of the nation’s capital, at the most exclusive high school in the world, the vampires who secretly run the government have created a game for America’s daughters of privilege. Show up to Homecoming in a black dress and you’ve entered yourself in a contest where the winner becomes a vampire, and the loser becomes the winner’s first victim. Only the wealthiest, most connected students can hope to win, so when new girl Nicky Bloom wears a black dress to Homecoming, everyone assumes she has a death wish. They don’t know that Nicky has her own agenda. As the dance continues into the night, they will find out that Nicky Bloom is far more than she seems. 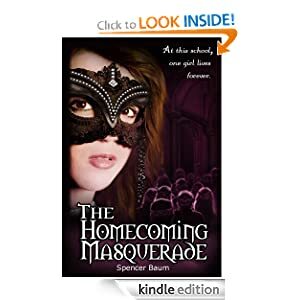 The Homecoming Masquerade or to sample this book for FREE!